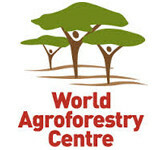 The World Agroforestry Centre (ICRAF) is headquartered in Nairobi, Kenya, with five regional offices located in India, Indonesia, Kenya, Malawi and Cameroon. The Centre’s vision is a rural transformation in the developing world as smallholder households strategically increase their use of trees in agricultural landscapes to improve their food security, nutrition, income, health, shelter, energy resources and environmental sustainability. The Centre’s mission is to generate science-based knowledge about the diverse roles that trees play in agricultural landscapes, and use its research to advance policies and practices that benefit the poor and the environment. 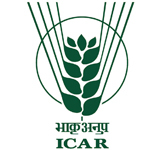 The Indian Council of Agricultural Research (ICAR) is an autonomous organisation under the Department of Agricultural Research and Education, Ministry of Agriculture, Government of India. Headquartered in Delhi, the Council is the apex body for co-ordinating, guiding and managing research and education in agriculture including horticulture, fisheries and animal sciences across India. One of the largest national agricultural systems in the world, ICAR has played a major role in promoting excellence in higher education in agriculture. It is engaged in cutting edge areas of science and technology development and its scientists are internationally acknowledged in their fields. 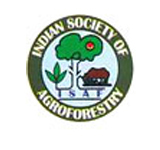 The Indian Society of Agroforestry is dedicated to encouraging wise and sustainable land use planning in relation to agroforestry. The objectives of the Society are to promote research and disseminate knowledge about the science and technology of agroforestry and to encourage the free exchange of ideas amongst those contributing to the advancement of agroforestry with symposia, lectures and literature.. Global Initiatives promotes partnership solutions for sustainable global development through international events and media projects. Through the sharing of knowledge, experience and best practice solutions these initiatives address some of the greatest challenges facing the world. Global Initiatives' programs, including the Business for Environment (B4E) Global Summits and the Responsible Business forums and television series, aim to facilitate collective action and create a better future.